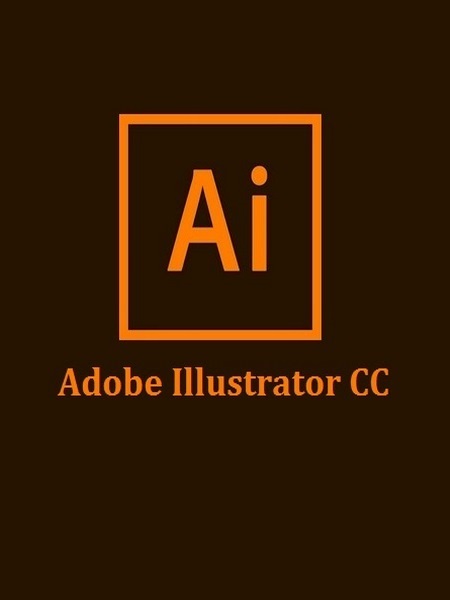 Adobe Illustrator CC software is the industry standard vector-drawing environment for designing across media. Express your creative vision with shapes, color, effects, and typography.Adobe Illustrator CC works with speed and stability on large, complex files, and move designs efficiently among Adobe’s creative applications. Familiar tasks are now streamlined, from inline editing of layer names to precise color sampling.Adobe Illustrator CC software includes the Adobe Mercury Performance System, with native 64-bit support for Mac OS and Windows to power such tasks as opening, saving, and exporting large files and previewing elaborate designs.The Touch Type tool of Adobe Illustrator CC gives you even more control over type: Move, scale, and rotate individual characters knowing you can change the font or copy at any time.And with Adobe Illustrator CC you can share work directly from within the application and sync colors from Adobe Kuler. Your entire creative world, together in one place. Only in Adobe Creative Cloud. Adobe Illustrator CC works with type in more powerful ways. Place multiple files at once with full control, and create with a brush made from a photo. Design more easily for the web knowing you can quickly copy and paste automatically generated CSS code. Enjoy a new level of creativity with type. Individual characters now act like distinct objects. Move, scale, and rotate text characters, knowing you can change the font or edit at any time. And use your favorite mouse, stylus, or multitouch device. -- Touch Type tool. Design with type in a powerful new way. Characters can now be manipulated like individual objects. Experiment with moving, scaling, and rotating, knowing you can change the font or edit at any time. And you can now use multitouch devices as well as a mouse or stylus. -- Images in brushes. Paint with a brush made from a photo. Art, Pattern, and Scatter brushes can contain raster images, so you can create complex organic designs quickly – with simple brush strokes. -- Font search. Find the perfect font – fast. In the Character panel, type a style such as “bold” or “italic,” a font family, or any other part of a font name. -- Sync Fonts. Sync Fonts will change the way you work with type. Quickly find the perfect font from the growing library of Adobe Typekit fonts, sync it to your system, and have it immediately available for use. -- CSS extraction. Hand-coding web elements such as icons and patterns can be frustrating. Now, create websites faster by letting Illustrator generate CSS code for you, even for a complete logo that includes gradients. Copy and paste the code right into your web editor. -- Sync Colors. Capture color themes out in the world with the Adobe Kuler iPhone app. Share your themes and explore thousands of others available on the Kuler website. -- Area and point type conversion. Instantly switch between area type and point type. Text object conversion is now instantaneous so you can design freely in your text layouts. And you can work just as easily with imported type, switching formats at any time.